Joost Luiten. 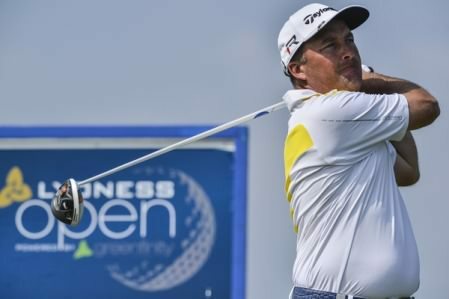 Picture by Getty Images.Damien McGrane haiuled himself into the top 100 in the Race to Dubai standings as Joost Luiten held off the challenge of Thomas Björn to claim his second European Tour title at the Lyoness Open powered by Greenfinity. 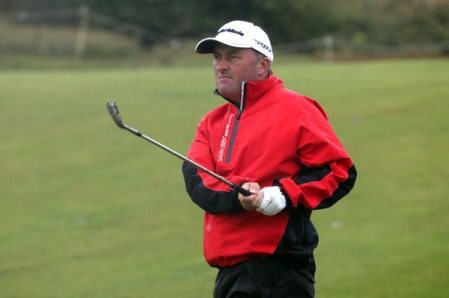 As McGrane closed with a 69, earning €14,400 and finish tied for 14th on eight under and move up to 98th in the money list, Luiten fired a one under par 70 in the final round at Diamond Country Club in Austria. The 27 year old Dutchman began the round with a three shot lead and stayed clear all day, despite charges from Björn, who closed with a 68 to take second place two shots back from Luiten’s 17 under par total, and China’s Liang Wenchong, whose 66 gave him a share of third place alongside Frenchman Romain Wattel (69). Luiten looked comfortable all week at Diamond Country Club in Austria, and even an hour’s suspension for thunderstorms late in the final round could not derail his march to the title. “It’s a great feeling and it’s been a great week,” said Luiten, whose first win came in the 2011 Iskandar Johor Open. “It was a long day and I started with a three-putt for bogey. But I was hitting the ball really nicely and I was just trying to hit the greens and two-putt and let the others chase me. “I made a few mistakes on the greens but after the birdie at the 16th I had a cushion and it was nice to finish with two pars to get the trophy. Miguel Angel Jiménez was in contention but struggled to a 75, while young Austrian amateur Matthias Schwab finished with a 69 for a share of 14th place, alongside another home favourite, Bernd Wiesberger, the 2012 champion. Gareth Maybin (120th in the Race to Dubai) finished joint 36th on four under after a 70 with David Higgins (188th in the money list) tied 47th on one-under after a 70. 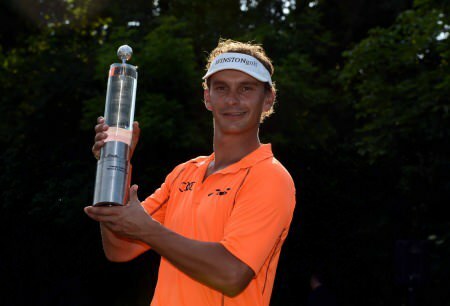 Peter Uihlein with the Madeira Islands Open trophy. ©Getty ImagesDavid Higgins and Damien McGrane failed to make in-roads in the Race to Dubai standings as Peter Uihlein claimed his maiden professional title in superb style at the Madeira Islands Open – Portugal – BPI. Joost Luiten leads the Lyoness Open in Austria. Picture by Getty ImagesGareth Maybin gave his season a boost when he fired an immaculate second round 68 to head the Irish challenge in the Lyoness Open powered by Greenfinity in Austria. Damien McGrane. Picture: David Lloyd / www.golffile.ieDamien McGrane might have failed to win his second tour title but he still had a warm feeling inside despite being scuppered by a cold putter on the final day of the KLM Open.